I would just like to say that I'm not a skilled writer, the grammar may be wrong, the punctuation may be wrong but the experiences are very true and that's why I'm here, why I've written this. The reason I've typed this the way I have is to somehow capture as much as I can before I start my experience. Because mine was bigger and a lot darker and that somehow it has to be linked to everything. I don't want to appear that I'm rushing the story and yet I'm trying to get to the story. I don't want to leave a detail out because this will be the only time I put all this out there. I have an older sister and a younger sister, and when we were all kids our father was involved in a serious motorbike accident. He lost his leg and as a result of clots had several heart attacks which led to him convalescing in a home. As a result we were all shipped off to our Grandma's house while my mum tried to deal with it all. While there my oldest sister had a supernatural experience. She said she saw our uncle crossing the landing at the top of the stairs. He'd been dead for several years and she would've been about 12 at the time. Growing older we all moved into an apartment building my dad had bought with the damages from his accident. Big place had about 15 rooms or so on three levels. Cool growing up there as a kid. That was where both my sisters had their other supernatural encounter, waking up in the early morning to see two men stood over their beds. I remember being woke in the dark by their screams. My youngest sister recalled first seeing two heads above her wardrobe that somehow manifested down into full apparitions. Life became hard and my parents divorced. I was 14 yrs old and we were given the choice of which parent to live with. We all chose to live with our dad which bothered him because he didn't think he could manage to be a parent the way he was. He had one leg and was crippled with angina but that's why I chose to be with him. I wanted to look after him. That was the start of it all. We moved into a little bungalow on the outskirts of town. It was the oldest house on the road. My sisters shared a room for a while, it was only a matter of months before my eldest sister moved out anyway. My sisters' room had a lock on the inside of the door which seemed a little odd. A chain lock so you could only open the door a little. The kitchen had that rushing feeling at night time, you'd go to shut the door and it felt like something was flying towards you from the dark. We'd tell our dad but he'd just laugh it off and say it was our imaginations. This went on and on for years and then my little sister moved out to go to the university. I had wanted to move out and was a little angry I guess that both my sisters had done so, but I also wanted to be there to look after my dad. He wasn't crippled or unable to look after himself but I just wanted to be there. We never really got on, in fact, it was the night before he died when we really had our first father to son talk. I am still eaten up by that. My sister moved out and I had started work on the fairground. I worked long hours and didn't party much. I'd go to work at 8 am in the morning and finish work at 11 pm, bike home and do that 7 days a week. I was a deep sleeper and my dad would always try to wake me up. I'd wake up late and whilst eating my breakfast my dad would tell me that I punched him as he tried to wake me. I never remembered and this went on for years. He'd try to wake me, I'd punch him apparently and then wake up. The only thing I remembered was that I'd feel him nudging my leg, or so I thought! All the while the years rolled by, the kitchen became darker somehow. It was a decent size kitchen split into two, dining area and then cooking area. At night time the back part, the cooking area, became 'full' - almost like there was something there watching you. It was horrible. And I never ventured into it after dark as a rule. My father passed away on March 3rd 2003. I was left in the house on my own with the dog. It was really at this point that everything went crazy. The night before he died I had been standing on the front porch looking out into the road and as I turned to go back down towards my room I noticed two sizable light anomalies coming from out of his room. Both ball-shaped and the front one bigger than the last. Size of a tennis ball and a golf ball respectively. They didn't reflect light onto the floor which was odd. They left his room, glided across the floor and into the kitchen. I should add here that my father believed in God and while he wasn't a church visitor it was his belief. He had told us several times about his near-death experiences with his heart attacks and how he was taken by the hand and flown over a beautiful white city. Or the time he stood in a white tunnel and listened to his best friend beckoning him forward. My sister and her husband had traveled down from London to stay with me at the house while the necessary arrangements were made. We laughed out of grief and shared stories. I asked her if she remembered how the house 'felt' and she said she did, and I'm glad because I often thought it was just me. The funeral came and went and my sister left. It was just me and the dog now. I fell asleep that night curled up in my father's chair and was awoken by the softest most beautiful voice I'd ever heard. It called my name and told me to go to bed. I genuinely thought it was my mum at first and this voice stayed with me for the next three nights before vanishing for good. Everything else that happened to me there was so far from comforting. I'd never really ever been the type to scare easily or let my mind play tricks on me. I'm a firm believer in science and logic but some things do defy both. The jangling I guess was the first noticeable thing. We had a cutlery tray but instead of it being in a draw my father kept it on the countertop covered by a tea towel. At nights I'd be in my bed and I would hear this jangling noise. It sounded like someone was just picking up the cutlery and dropping it back into the tray. I'd naturally go look but see nothing. I'd feel the darkness and the dog, who slept in the kitchen at nights, would bolt out the door. He had started to sleep in my room now and I think we both needed that. The jangling was a nightly occurrence at this point and I'd just turn up my TV so I wouldn't hear it. The kitchen was next to my bedroom so I could hear it clearly. This went on for months, the kitchen became ominous and I would often make sure I had everything I needed before it became too late to venture in there at night. I had been fast asleep this one particular night when I was disturbed by this rumbling noise. It must've been about 3:30 am-ish and I lifted by head to see what it was. It was my bedroom door and it was vibrating, shaking. I remember straightening my head to take in what I was actually seeing. The door was actually shaking so hard you could see it moving violently and then it looked like it wasn't connected to hinges. It looked as if it was just loose in the frame being violently and aggressively shook. I watched and then all of a sudden it flung open and all I could see was black. Not the dark hallway but jet black, solid black. I woke up in the morning and not only do I not remember falling asleep, the door was closed as normal and everything looked OK. The logic in me says nightmare, but added together I know it wasn't. A couple of nights later I was asleep again and I woke lazily and noticed I had blood on my hands. Not a bit of blood or streaky dry blood but fresh blood on both hands from wrists to fingertips. It looked as if I had put my hands in a bucket of red and yet there were no marks on my pillows or my sheets, anywhere. I also remember washing it off in the bathroom and then falling back asleep. I woke that morning feeling like I was going crazy. I distinctly remember cleaning my hands but have no idea what that was. The scariest most stand-out thing that has impacted my life happened next. I was again fast asleep when I felt something thump my leg. I felt it but wasn't fully awake if that makes sense. I felt it again and then again and that was when I woke up. I bolted and sat upright and there at the foot of my bed was this thing. To this day I can see it clearly and I will attach a rough drawing of what it actually looked like. Because it was humanoid in the fact I saw arms and eyes and a mouth, but it was far from human. It had a jagged outline, one arm was holding down one of my ankles and the other was raised above its head about to strike me. It had electric yellow eyes and the angriest mouth. I panicked and I struck out at it and it vanished into thin air. I'm finding reliving this and writing it out terrifying. Over the next few months the house grew worse. The darkness in the kitchen had spread now into the living room. I rarely used the living room because my friends would sit in my room and watch TV etc. Lampshades in the living room would revolve and the lights would swing. Doors would rattle. It was like the house was just angry. In the daytime my friends would hear talking and coughing in the hall outside my room. My father's room one night had all the windows mysteriously open and all the curtains had somehow been tucked through them, so they blew around outside. I managed to sit it out until I met my wife and decided to move to Canada. I had hoped to have left it all behind but I'm thinking I probably didn't. I took three visits here, the last was to stay permanently and on that airplane journey I remember looking down the aisle thinking I 'felt' something but I shook it off. On arrival at her apartment building I pulled my luggage up the stairs to her door and then stopped to gaze down the hall. I told her it felt full except this time I could see. There was a young man, an elderly woman and a young girl and they were staring at me. The girl was with the woman but not, I can't explain that. She was maybe 8? My wife isn't/wasn't the type to believe in this stuff I don't think and she was the very first person I opened up to about my experiences. I'd even visited my doctor and told him everything, scared that I might actually be going crazy. He suggested sleep disorder until I got to the part about the creature hitting me at which he sat back in his chair and looked concerned. I could trust my doctor, he was a prominent churchgoer in our town and his almost fearful look rattled me somewhat. I knew what I had experienced was real. My sister's confirmation that she had experienced a lesser force in that house was all the confirmation I needed. I was outside our apartment building having a smoke when I heard my wife scream. She had taken a shower and said that she saw something dark move towards the curtain. She opened it and saw nothing. To this day she won't shower unless I'm in the house. I kept telling her about the three people I had felt in her hallway, the young man (his mid 20s), the elderly woman and the young girl. I said I felt the young man enjoyed playing with people but not maliciously and that the young girl wanted more. We were sitting on bed having this discussion. I told her he would open doors but just to be playful, as I said that the bedroom door opened. My wife is terrified of 'my thing' and we don't discuss anymore. I keep my stuff to myself, which is why this release is important to me. The little girl I would see in our bedroom time to time. She'd stand at the side of the bed sometimes while I was trying to sleep and I'd hear her whispering, but I don't know what she was saying. I tried not to listen. Over the next few months I became friendly with the entire building and it emerged that on the third floor, the apartment above ours, a young guy had committed suicide (shot himself). That was the young guy I kept seeing. There was a white wooden building right next to our apartment and it used to be an old girls school ran by nuns. I used to feel that girl's presence outside at night as I smoked and it felt like she rushed the doors to our building as I returned. I presume now that the elderly woman was also connected to that building. Our old apartment building's superintendent also ran the next building and said the basement there was oppressive. Apparently ever since I saw that shadow creature with the yellow eyes I have become more sensitive. I've recently opened up to my mum about all this and she told me it's a family thing, that I'm the sensitive one this generation. 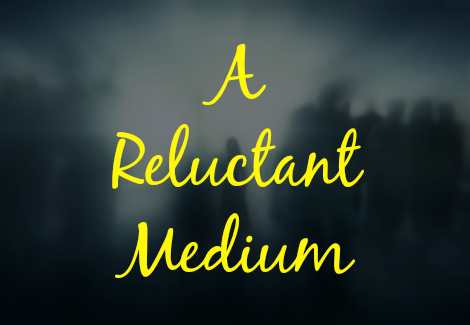 A reluctant medium. And already my young 4yr old has shown signs that this is being passed down. He talks about the little boy that sits in the closet, the same little boy that sat in his playhouse at our old place. I heard him talking to a woman the other day in our kitchen. I heard her voice and I heard his responses. He just sat playing cars with her. I can walk into a space and tell you if it's 'full', if it's negative and what it looks like. I'm not sure if they're human spirits or just evil. I don't know what it is which is why I'm reluctant to interact. I believe in evil because I've felt it, physically..
To this day I cannot sleep in the dark and recently I recalled to someone a horrible experience I had whilst asleep here. I've even considered going to a church to talk to someone about things but I don't know. Part of me thinks it's a cool gift whilst the other part is fearful.